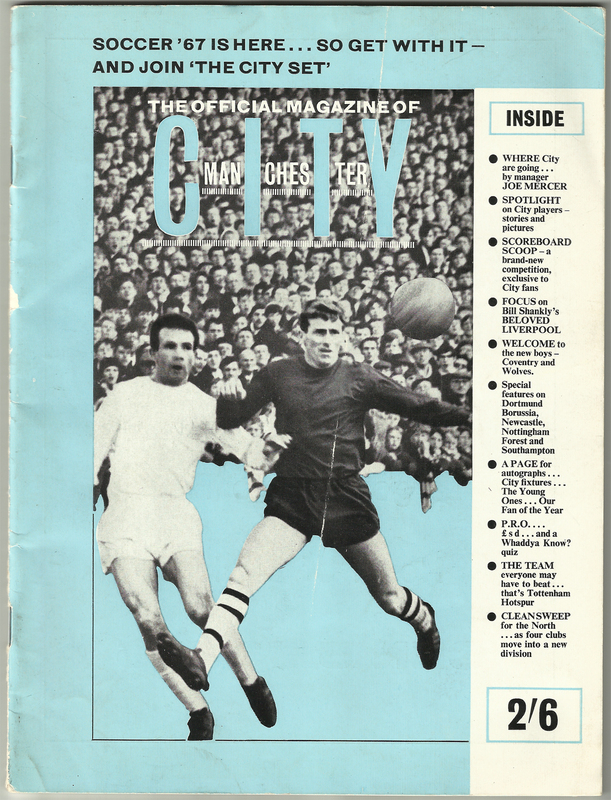 This was an official City magazine produced for the 1967-68 season. The foreword by City Chairman Mr A.V. Alexander is interesting as he comments the next step for the team is to bid for honours. This season would, of course, be the start of the most successful era in City's history. The magazine has 60 pages, well worth the price of 2/6 when it was published, and is packed full of fascinating features about City and some of our rivals in Division One. I acquired mine off ebay for 99p, an excellent buy for a little bit of City's history, highly recommended.